We stayed in this adorable Condo for three nights! Very comfy beds and modern kitchen. 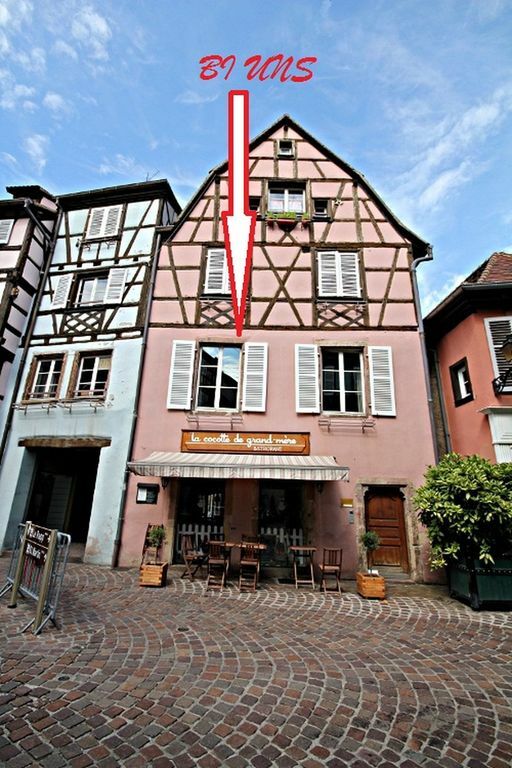 The best part was how close it was to everythingn in Colmar. I would highly suggest and definitely stay here again! We really enjoyed our stay at the apartment. It was quite roomy and had a nice little kitchen for when we did not want to eat at a restaurant. It was quiet and on-street parking was fairly easy to manage, though we had to park a few streets away. Plenty of hot water for showers, a good washing machine and ironing board was much appreciated. The house is well-located,easy to get to every spot. We, as a matured couple, stayed in this apartment for five nights and everything worked perfectly for us. We really felt like staying at home and liked everything with the apartment. The owner Bertrand was very friendly and helpful, and we would definitely like to come back next time. We had a wonderful 12 day stay in this apartment. Very roomy for two people. Bertrand was very helpful and accommodating with meet times for both our arrival and departure. The apartment definitely needs more light in the kitchen and we brought that to Bertrand’s attention. Would stay here again.